Andy Dufresne (Tim Robbins) is sentenced to two consecutive life terms in prison for the murders of his wife and her lover in the late 1940s. However, only Andy knows that he didn't commit the crimes. Sent to Shawshank Prison to do hard time, Andy--a taciturn banker in the outside world--has to learn to get by in the brutal, cutthroat confines of prison life. His quiet strength slowly earns the respect of his fellow inmates--most notably, Red (Morgan Freeman)--and even much of the prison staff. But Andy's seemingly stoic acceptance of his unjust imprisonment hides a fierce determination for freedom. This beautifully crafted movie features touching and sincere performances from the entire cast, with an uplifting message about humanity's indomitable spirit and the redemptive value of hope. 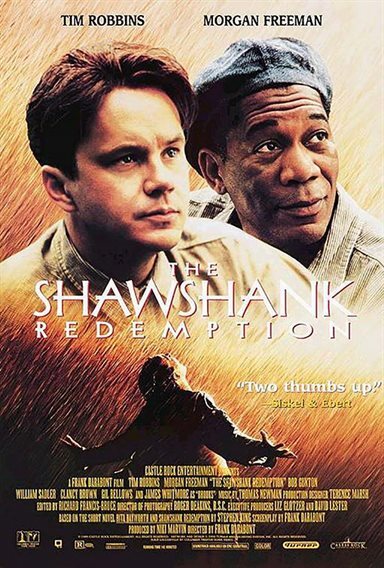 Download The Shawshank Redemption in Digital HD from the iTunes store. The Shawshank Redemption images are © Columbia Pictures. All Rights Reserved.